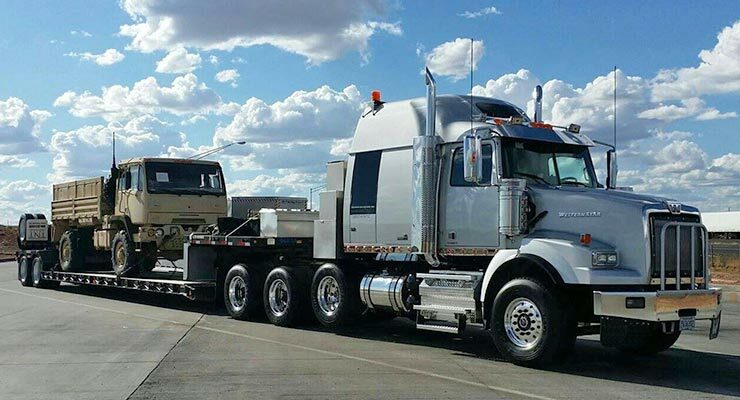 It’s common for us to get a call from a customer requesting flatbed trucking services, but the vehicle ultimately requires some other solution that would be a better fit. There are a few guidelines we like to use to determine what kind of shipping method is going to be right for your car. For instance, we may determine based on the year and make, that the car is a classic. In which case, we might ask what state it’s in to determine whether an enclosed truck is the better fit. How big is the vehicle? If it’s a car you drive every day, and the vehicle is a sedan or a compact, it may not make sense to use flatbed trucking. On the other hand, a large truck might not fit on conventional car carriers. Are you under a deadline? We are in contact with truck drivers that operate many kinds of vehicles, but there just aren’t that many flatbeds on the road. As a result, coordinating auto transport services with a flatbed truck may take some extra time that an alternative method may not. Ultimately, every order is different so it’s best to contact us directly at (844)-562-3292 if you have any questions regarding your relocation. We can handle everything over the phone with little more than the car’s make, model, year and general condition. Ready to get best from flatbed trucking?